Many computer users like to use bigger monitors, to do more work at one time and see their work more clearly. Then some will say that one big monitor is good, but two monitors is even better. If you want to use more than one monitor, Windows makes it easy to connect, arrange and use multiple monitors with your computer. 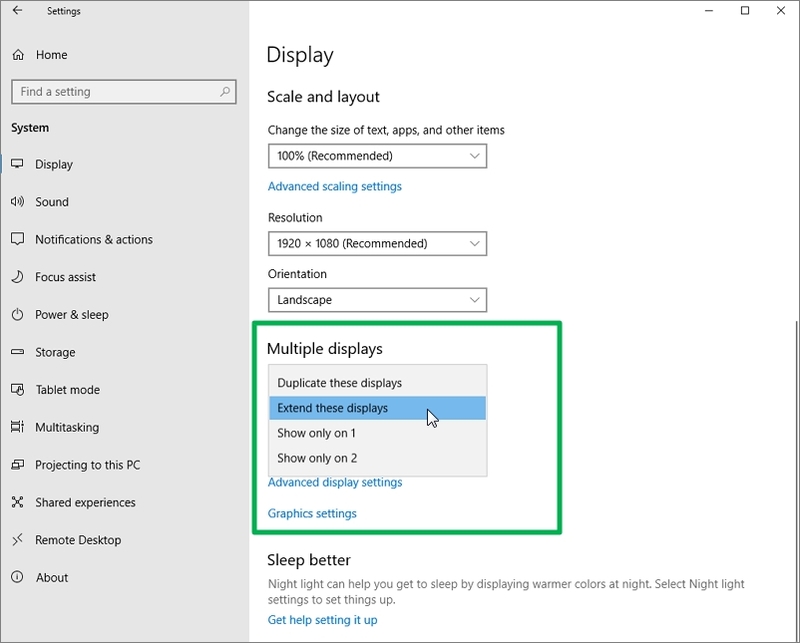 If maximum screen real estate and even greater productivity sounds good to you, let’s look at the Windows settings that will help you set up a multiple-monitor display. How many monitors can I use? The maximum is determined by how many display connection ports your device has. You can connect as many monitors as your device has compatible connection ports. How many connection ports does my device have? Look at the side or back of your device for connections like these in the picture below. It might have more than one of these types. Can I connect monitors to my laptop? Yes, you can connect additional monitors to a laptop as well as a desktop computer. Many people like to connect a monitor to use along with their laptop screen, or instead of it. (It means you don’t have to stop using a laptop just because the screen is damaged!) You can connect even more monitors and devices if you use a docking station, an accessory available for most laptops. Once the monitors are connected, that’s when the fun starts! 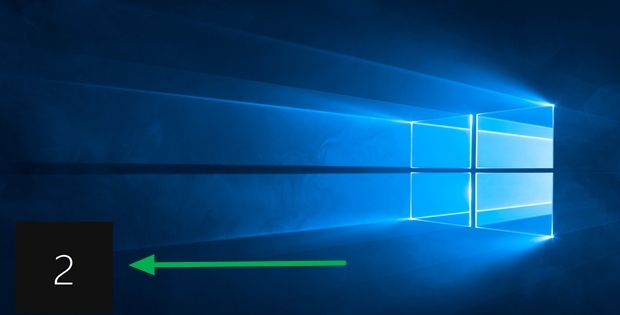 Windows automatically detects the connection of most monitors – check it in the Settings > System > Display screen (to find that screen fast, in the search box on the task bar, type “display” and click Change display settings). The diagram under Select and rearrange displays shows the monitors Windows has detected. The diagram below shows two monitors – monitor 1 is selected (indicated by the blue color), so the settings shown on the rest of the Display screen below the diagram are for that monitor, and any settings changes apply only to that monitor. Just click another display in the diagram to see and change the settings for that monitor. The Identify and Detect buttons help you match your physical monitors to the displays in the diagram. Use Detect when Windows doesn’t immediately recognize a monitor you’ve connected (for example, if your monitor is an older model). Detect refreshes the connections and tries again to get your monitor activated. Identify shows you which of your monitors is which in the diagram, by showing the matching number on the bottom left-hand corner of the monitor screen (illustrated below). In the Select and rearrange displays diagram, drag the displays to match your actual physical work space – for example, if you want your monitors side by side, or on top of each other, or at different heights. My personal setup has one monitor rotated to a vertical display, which is my preference for graphic design and digital illustrations. So, in the illustration below, I selected monitor 2 and under Scale and layout, I changed Orientation from Landscape to Portrait. Remember, when you’re done arranging, click Apply. 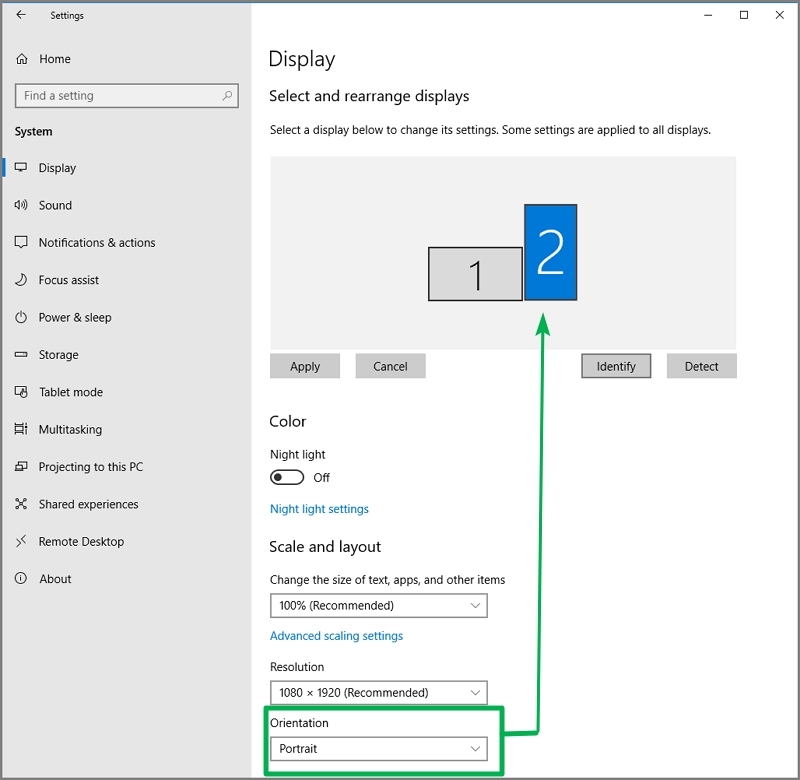 As mentioned, the other settings on the Display screen, such as under Brightness and color or Scale and layout, apply to the monitor highlighted in the diagram – for example, in the illustration above, the settings will all apply to monitor 2. Set these according to your preferences. Scroll down the Display screen to the next important setting for our task here, under Multiple displays. Open the dropdown list to select how your desktop and work displays on your monitor setup. 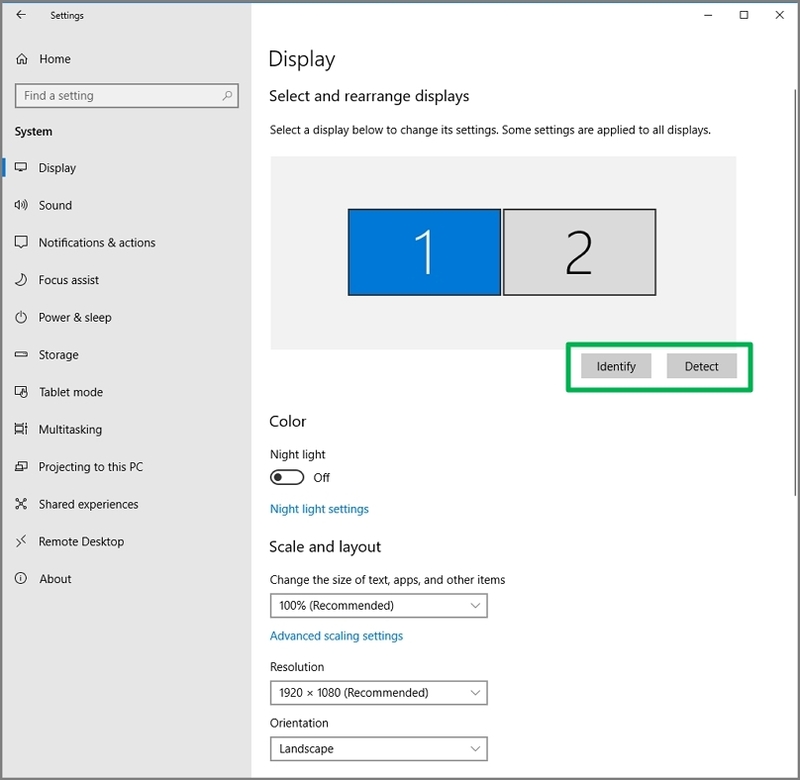 Pro tip: you also can get to the Multiple displays settings on the fly by pressing Windows key + P.
Duplicate these displays: Also known as a clone, this mode duplicates (or clones) what is shown on the main monitor onto the other monitors. Extend these displays: This is one of the more popular modes as it gives you the ability to “extend” your desktop across multiple displays. Use it as if it was one huge desktop, or put different content on each display. I like to have different apps showing in each monitor, and I can drag app windows or documents between monitors. Show only on monitor #1: This means your desktop shows only on your main monitor (display 1). Nothing shows on any other connected monitor. Show only on monitor # 2: Your desktop and work are visible only on the secondary screen(s), while the primary screen is dark. This is a good option if you use a closed laptop as your computer, with an external monitor instead of its screen. Below the Multiple monitors dropdown list is a check box at Make this my main display. The main display is the monitor where you want Start, your taskbar, and notifications and alerts to appear. 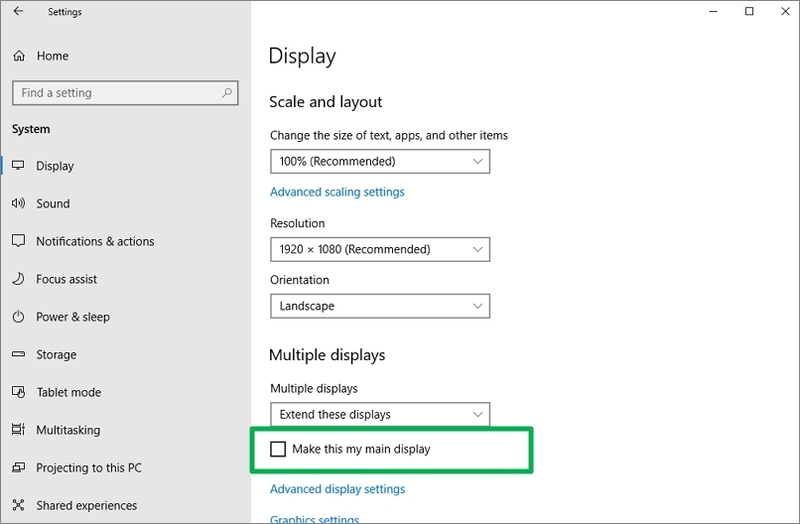 First select in the Select and rearrange displays diagram the monitor you want as your main display – for example, I want monitor 1 to be my main display, so I select display 1 in the diagram, and then check the Make this my main display box. If this box is grey and you can’t click it, that means the display you’ve selected is already your main display. Once you have all the monitors’ settings the way you like them, you’ll have a multiple-monitor setup that gives you much more screen area to view and work on. I find it helps me keep up on multiple tasks at once, or tasks with several parts, along with providing more visibility into my work. I hope you like how it works for you too! Learn about Windows Night light that helps you reduce exposure to blue light, which is proven to disrupt sleep. And if you or someone you know have color blindness, learn how Windows can help improve your computer experience with color filters.